Foreigner are debuting video of a live performance of their 1981 hit, “Urgent”, from the newly-released set, "Foreigner With The 21st Century Symphony Orchestra & Chorus." The lead single from the band’s fourth record, “4”, reached No. 4 on the Billboard Hot 100 and helped Foreigner land their first US No. 1 album while selling more than 7 million copies in the States alone. 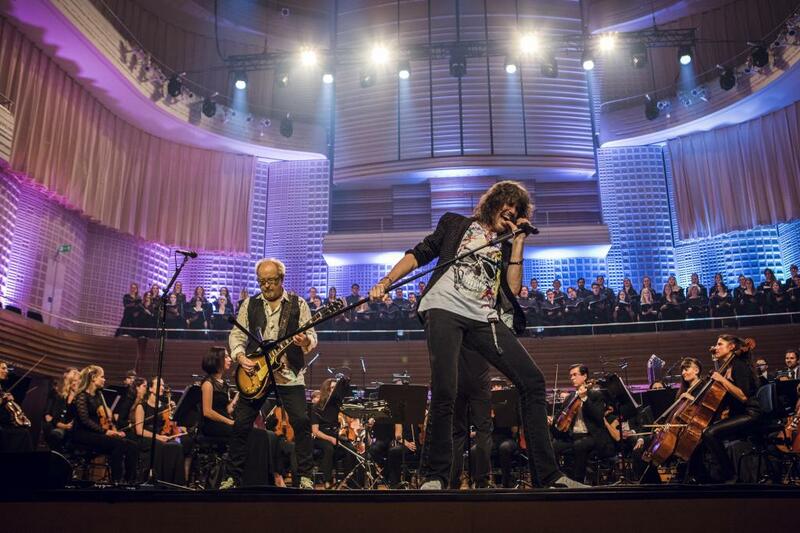 The new live project sees Foreigner present their biggest hits as compiled from a pair of May 2017 sold-out shows in Lucerne, Switzerland with a 58-piece orchestra and a 60-piece choir. "Foreigner With The 21st Century Symphony Orchestra & Chorus" is now available via CD, 2LP, DVD and digital formats. Foreigner recently previewed the project with a brief spring series of US orchestral concerts; up next, the band begins a brief European run in Tel Aviv, Israel on May 5 before launching the “Juke Box Heroes Tour” of North America – with guests Whitesnake and Jason Bonham’s Led Zeppelin Evening – in Bangor, ME on June 15.